BOGOTA, December 5. /TASS/. 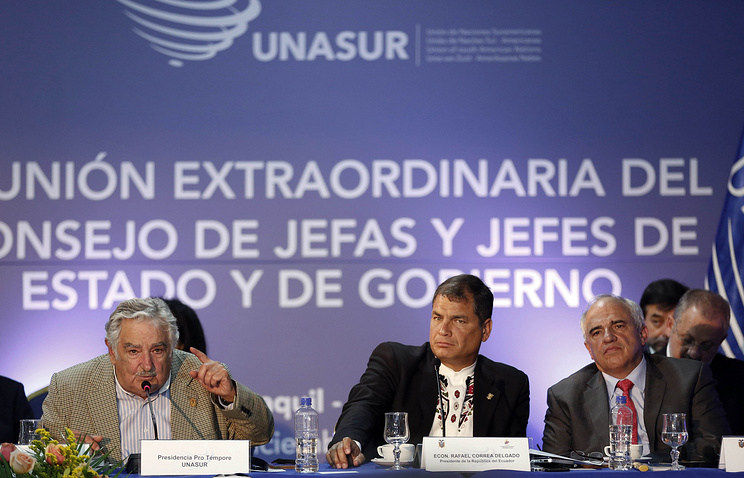 The Union of South American Nations (UNASUR) has prepared a concept for “South American citizenship,” which will let all people living on the continent to travel freely within the region, the organization’s head Ernesto Samper said at the Union’s summit on Thursday. The Union’s leader said the concept, which is similar to the Schengen zone in Europe, will be the first sop towards free movement of people within countries of the union. “The South American passport seems to become a most important achievement of this summit,” Samper said.